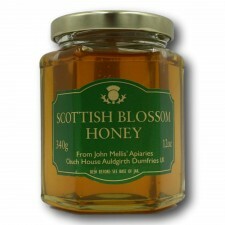 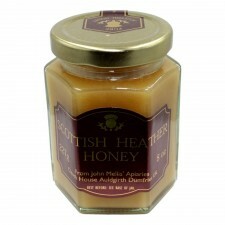 When it comes to authentic Scottish honey, few can match the experience or quality of John Mellis Honey. 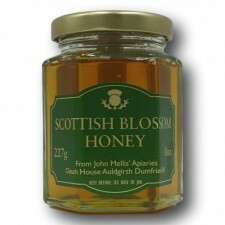 With over 22 years in the business and 400 hives covering 100 square miles of low-intensity farmland and diverse woodlands of Dumfries & Galloway in Scotland, John Mellis is flying the flag for Scottish beekeeping. 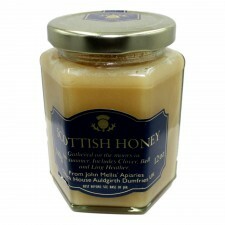 John Mellis has become known as one of Scotland’s most successful bee farmers, with his honey in great demand for its unique flavour. 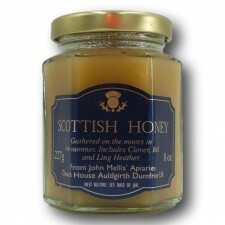 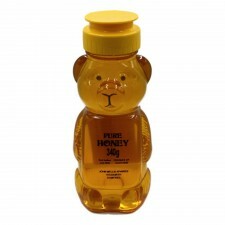 The distinctive flavour of his honey is down to the countryside the hives are positioned in, with trees, wildflowers and heather providing the nectar the bees need. 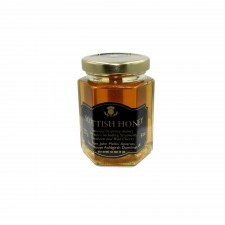 John Mellis works hard at achieving such distinctive flavours in his honey, transporting hives throughout the season to the most interesting flower sources to save the bees making long flights in search of their precious nectar!